담홍색, 핑크 & Simone. Original 이미지 belong to Universal Pictures, 아이콘 의해 DarkSarcasm.. 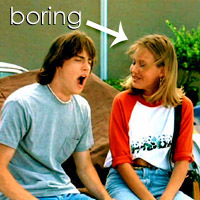 Images in the Dazed and Confused club tagged: dazed and confused image icon randall pink floyd simone kerr jason london joey lauren adams. This Dazed and Confused icon might contain 작업복, 레저웨어, 여가 복, 기호, 포스터, 텍스트, 칠판, 사인, and 서명.